At the Smart Grid fair 2015 in Paris, the French electrical and digital equipment manufacturers’ union, IGNES, presented a new local radio transmitter solution, ERL (Emetteur Radio Linky). This wireless module links appliances and building automation to the ‘Linky’ Smart Meter from energy supplier Enedis (formerly ERDF), which plans to replace all electrical meters in France with the Linky, by 2020. The ERL has been specified to be compatible with the 35 million Linky meters to be deployed, and it makes KNX RF Multi and Zigbee protocol mandatory. 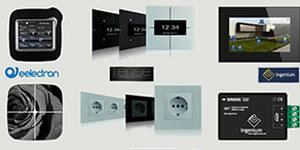 There are two different types of KNX RF, namely Ready and Multi. While KNX RF Ready uses a single channel, KNX RF Multi supports five different channels, thus enhancing protection against interference. 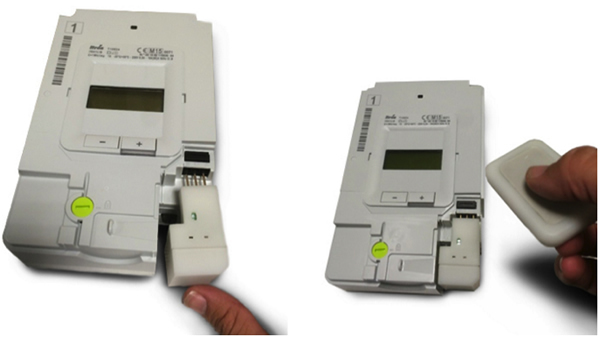 The ERL module connects to the Linky smart meter, and has a remote control. The ERL will bring new services to the customer such as tariff management, whereby appliances adapt their behaviour to the best current or future tariffs. The ERL is associated with a central device in the house in order to provide the user with a display of the current real-time consumption and production of electrical energy. It also can be associated with control equipment, for example, electrical boilers or electrical heating, for energy optimisation. Furthermore, the user can profit from peak avoidance and load shedding by buying or offering energy at advantageous times. 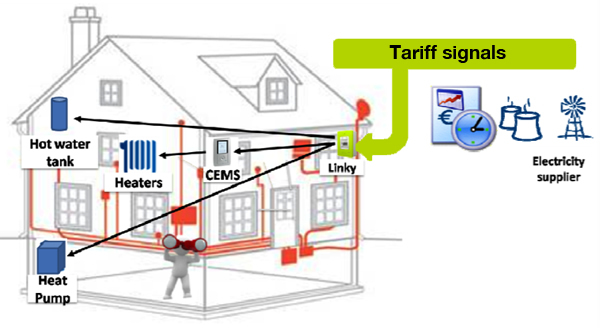 Tariff-based management of directly- or indirectly-connected appliances, using a Central Energy Management System (CEMS). The ERL has to be plugged into the Linky meter and be powered by the meter at a maximum of 120mW. It then gets information from the Linky meter via TIC (TéléInformation Client). No information goes back to the meter. The communication between the ERL and HAN (Home LAN) is a RF-secured communication and the commissioning between the ERL and HAN requires no additional tools. The KNX Association’s KNX interworking group has worked on standardisation of ERL functionality in the Application Note 179 ERL Channel. This defines all of the group communication objects, including all of the parameters and functionalities. The KNX System Group improved the security by adding the Push-Button Easy Mode configuration (Application Note 169 Secure PB-Mode) for E-Mode (Easy Mode) devices, and Data Secure communication (Application Note 158 KNX Data Security) for S-Mode (System Mode) devices. The certification of devices is now possible, as KNX has also added secure features testability in its EITT (KNX Interworking Test Tool) software. 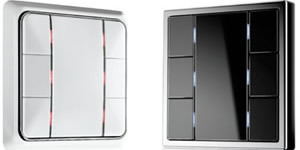 New data security requirements have resulted in some changes in KNX stack implementations, such as the use of the ECDH (Elliptic Curve Diffie-Hellmann) algorithm for security key generation and exchange (around 25kB Flash on 16-bit microcontrollers), and the use of EEPROM to store the security counters. KNX Secure devices also require a way to update the firmware. One possibility is to introduce bootloader functionalities and especially OTA (Over The Air) updates. The main challenge for this specific ERL solution, is to provide integration with existing Zigbee stacks that are today less flexible than KNX stack implementation. This requires additional adaptation to RTOS (Real Time Operation System) or dedicated bare metal programming (i.e. software developed very close to the hardware without a lot of abstraction layers). 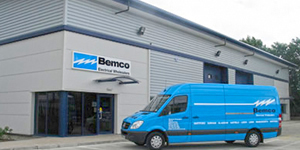 The challenge for manufacturers is to reach good RF performance with reduced energy consumption to 120mW. 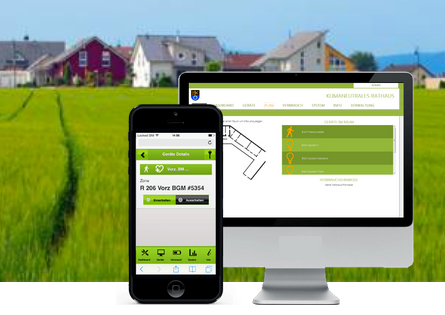 The ERL works with two standardised and secured radio protocols, namely KNX and Zigbee. Complementary devices to the ERL are displayed on home gateways that integrate KNX RF receivers and which are linked to the meter. In this case, KNX RF stacks have also been adapted to run on larger MCUs with external RF transceivers that have to be integrated into existing hardware. In the home, these devices will support the smart energy application directly or in combination either with energy managers or with electrical appliances, as they directly receive feedback and information from the meter. Example of a user interface for energy monitoring and management. At the moment, S-Mode configuration with ETS is not possible as the devices are dedicated to Easy Push-Button configuration without tools. Future generations of devices or existing devices will provide connection through OTA updates from the Linky meter to a twisted-pair (TP) KNX installation via new TP/RF multimedia couplers. 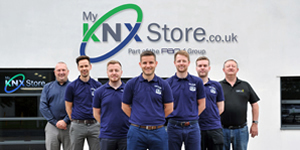 Linky and the ERL have pushed new solutions for KNX RF Multi Secure implementations. We will see more and more multi-protocol end-devices instead of mono-protocol devices linked to multi-protocol gateways. According to RF chipset and MCU manufacturers, multiple optimised combinations of SoC (System on Chip) or external transceivers are now in competition to support new KNX RF Multi Secure devices. 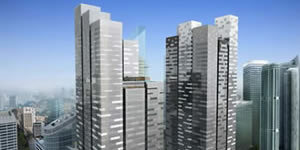 New chipsets are integrating a dedicated KNX RF multi-packet handler to reduce the work of the MCU. In the future, KNX RF modules will have to be integrated into electrical appliances which will enable direct connection to the Linky. The aim is to get the profiles of the day tariff (today and tomorrow) and adapt them to the best smart energy consumption. The possibilities for KNX RF are many, as there are more than 100 group communication objects available from the Linky meter in order to achieve such new functionalities. Christian Gossé is a Business Manager for Actimage, a French-German firm dedicated to developing new technologies in order to support companies at all stages of their digital transformation; from portal and cloud platforms, to embedded software and IoT, through to mobile apps involving AR, VR and MR. KNX application and device firmware development by Actimage is mainly supported by Gossé&Tech Tapko technologies (KNX Stack, Module, OEM device).